The colour, spread and easy of coating has been improved. With increased pigment weight than previous, more “vivid colouring” can be achieved. Vivid and a smooth colours at high concentrations. 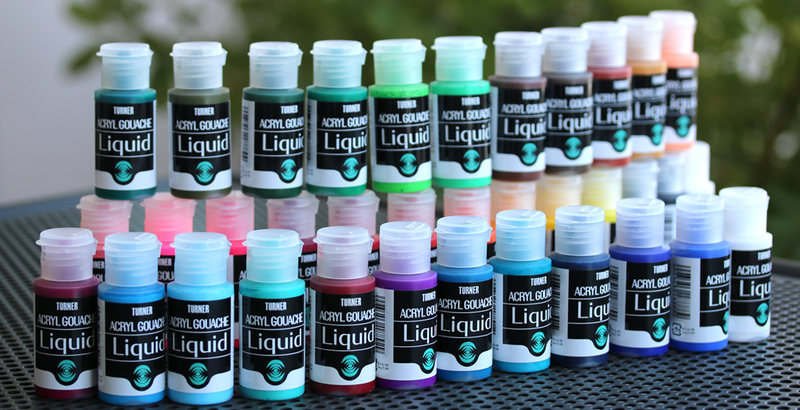 New liquid acryl paint with both those contradictory features. 3. Dries quickly. Can be painted effectively and efficiently. 4. Reliable adhesion to various materials beyond your expectation. 5. Opaque velvet finish that will enhance beautiful coloring. Can be painted without water, as softness has increased in comparison with the previous paint, improved texture. Can be mixed with the former acrylic gouache in the same tone colour, and it’s possible to adjust viscosity for easy drawing. Ease of painting and covering have evolved. The “smoothness” of the liquid has been enhanced. Can be used at any time and drawn on small parts beautifully. 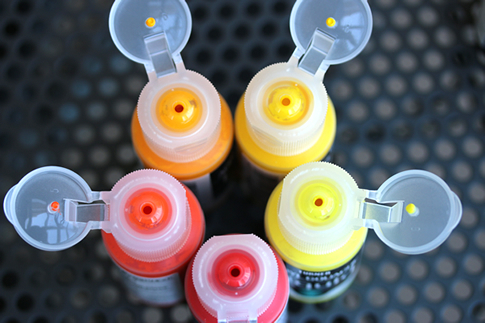 Can be used for techniques such as dripped paint, drop paint, etc. Because of a large amount of pigments, there is no difference in colour during work and after drying. The colour of the image remains the same. It is possible to draw on a variety of materials and will away finish up with a natural matte texture. Rare “extensive colour” of liquid type gouache will increase the range of expression.